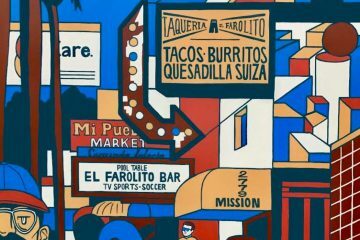 In fact, I wondered what South San Francisco was like in general. 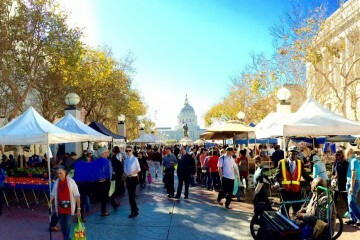 Our fair city to the south…that no one seems to know anything about. 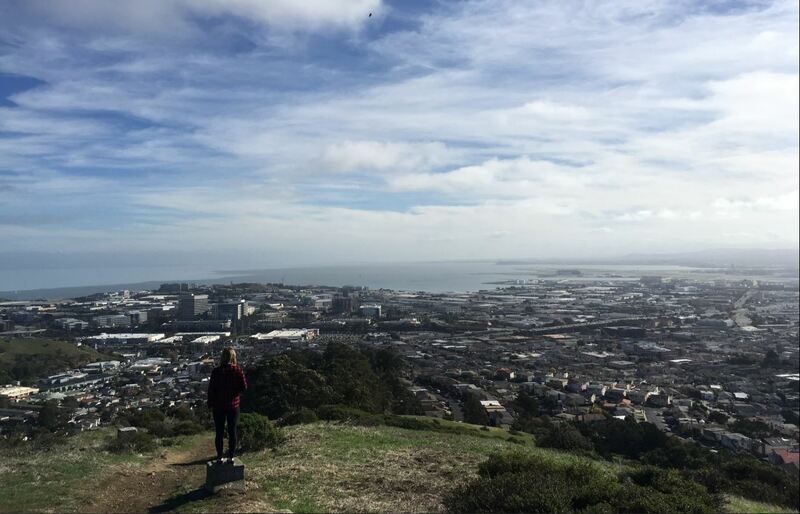 South San Francisco sits just a few miles away, nestled between the San Bruno Mountain and the bay, just sitting there like a fruitcake at a Christmas party, everybody saw it when they came in, but nobody ever bothered to try it. Unfortunately, there’s nothing very adventurous or illegal about checking out the ‘Industrial City’ sign. 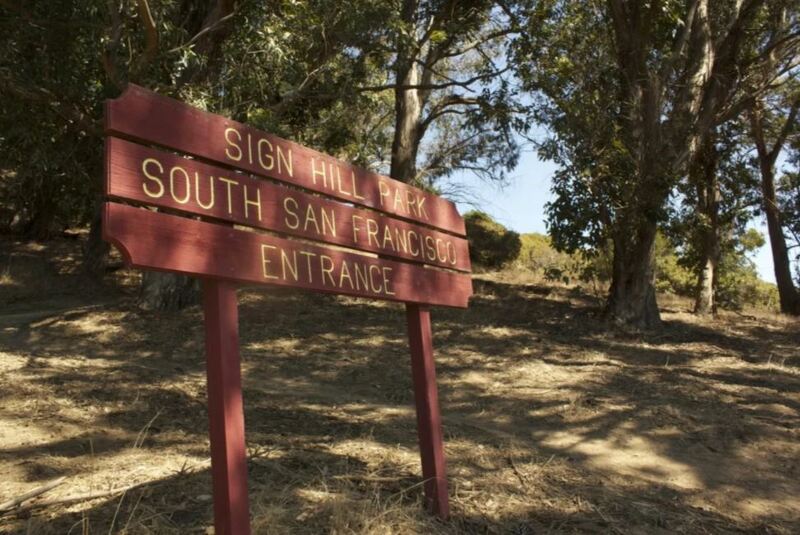 Sign Hill is not only accessible, it’s a public park with trails all laid out for anyone who wants to check out the sign and take an easy hike with amazing views of the area. The sign and its surrounding city also have some interesting history behind them. We started near the top, by parking at the end of Ridgeview Ct, South San Francisco. 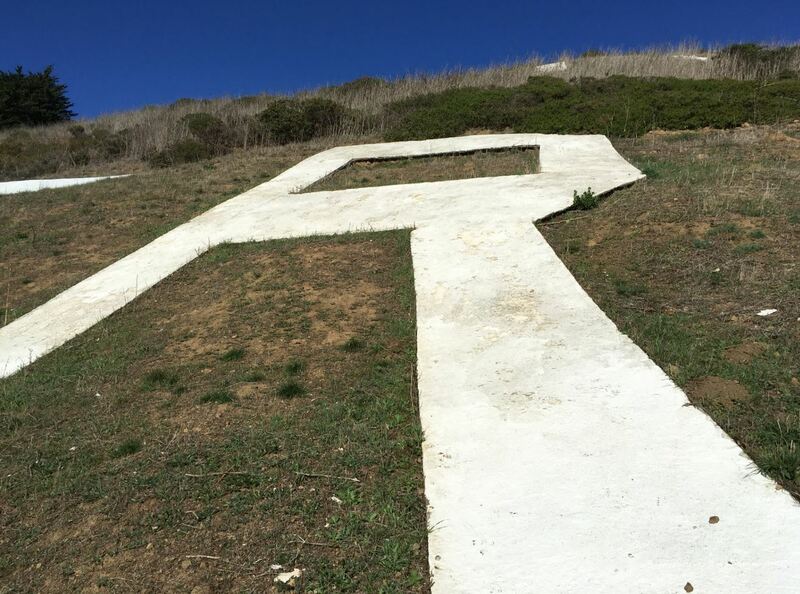 (Past the Elks Lodge) And began the hike on the Ridge Trail, then looped around on the Letters Trail to check out the BIG letters. We then took the Seubert Trail and saw all the groves that Alphonse Seubert planted in the 1960’s, and followed that back up to the car. That whole hike is about 2 miles and has some significant uphill and downhill segments. Overall it’s a pretty easy, dog and kid friendly hike. If you want to avoid the uphill bits and just check out the letters, park at the base of the hill at Poplar Ave off of Rocca Ave. There’s an entrance straight onto the Letter Trail there. 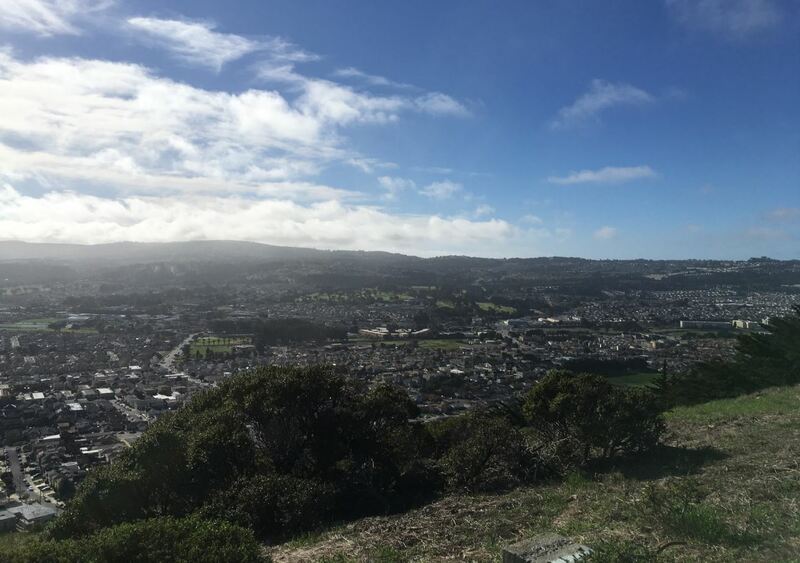 There’s a panoramic view of San Bruno Mountain, South Francisco, SFO, and Colma on top of the Ridge Trail. Binoculars could be fun. 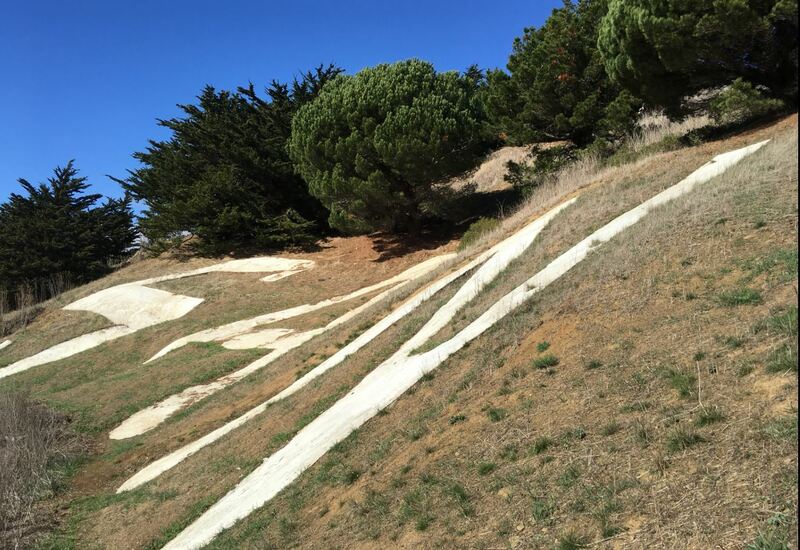 Once you go up and down the ridge you can link up to the Letters Trail where the 50-60 ft cement letters lie. We saw evidence of children using pieces of cardboard to slide down the letters, and evidence of teenagers using the letters as a meeting place to drink malt liquor and smoke doobies. So if you’re like…14 years old, and bored with your friends one night…I’m just saying you could do a lot worse. 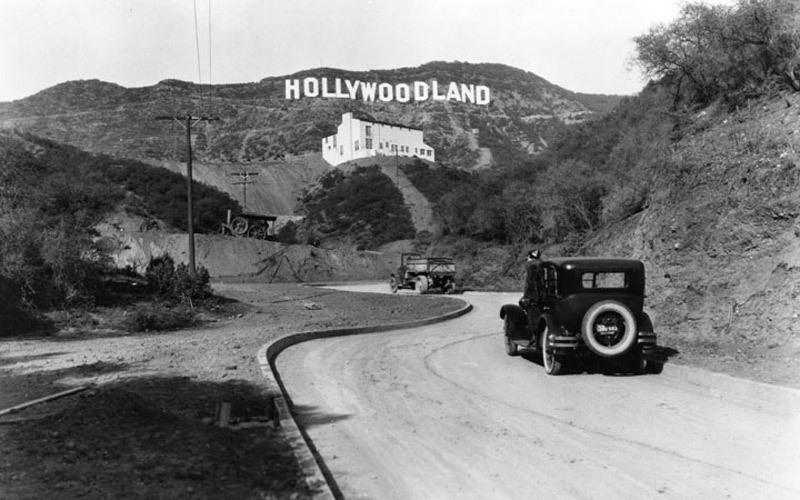 In 1923 some developers down in Los Angelos built a huge sign you may have heard of on a hillside that read ‘Hollywood Land’ (the “land” has since been removed). The original Hollywood sign was built to promote a luxury housing development. 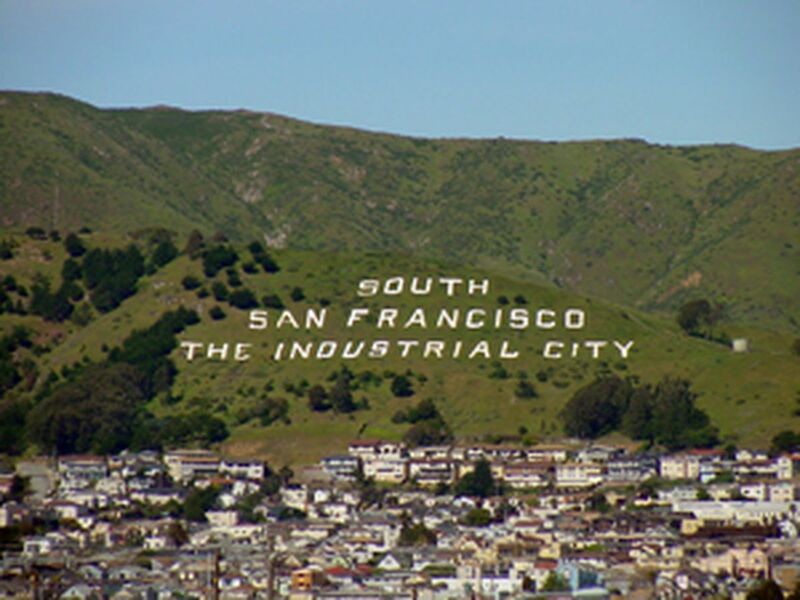 Not to be outdone, that same year the South San Francisco Chamber of Commerce commissioned their own hillside sign, with a much more ‘blue collar’ appeal. 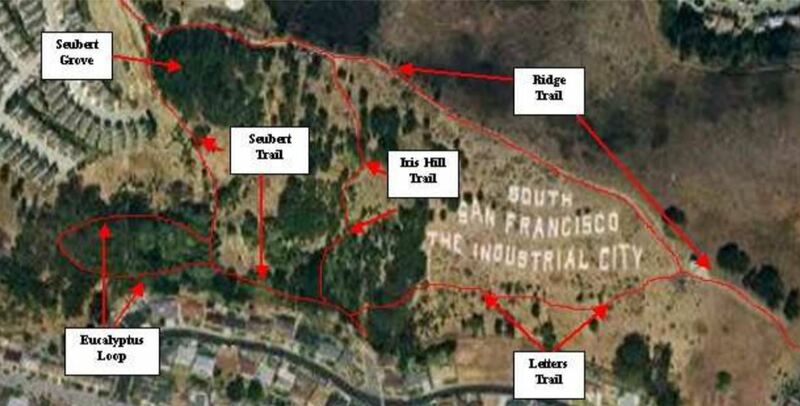 The “SOUTH SAN FRANCISCO THE INDUSTRIAL CITY” sign was built to promote business interests in the municipality, which of course is separate from the City and County of San Francisco. 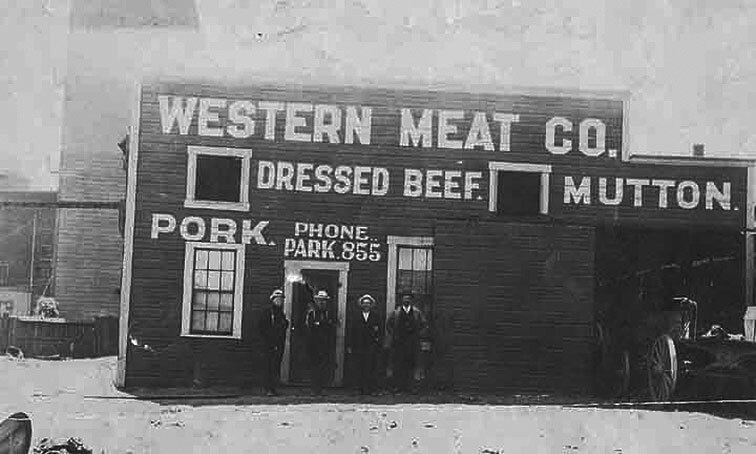 South San Francisco has a pretty long history all of its own, in the late 1800’s into the early 1900’s South SF used to be known for its meatpacking industry and big cattle calls. 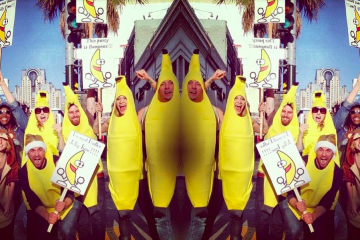 There’s an interactive timeline about South SF history here. 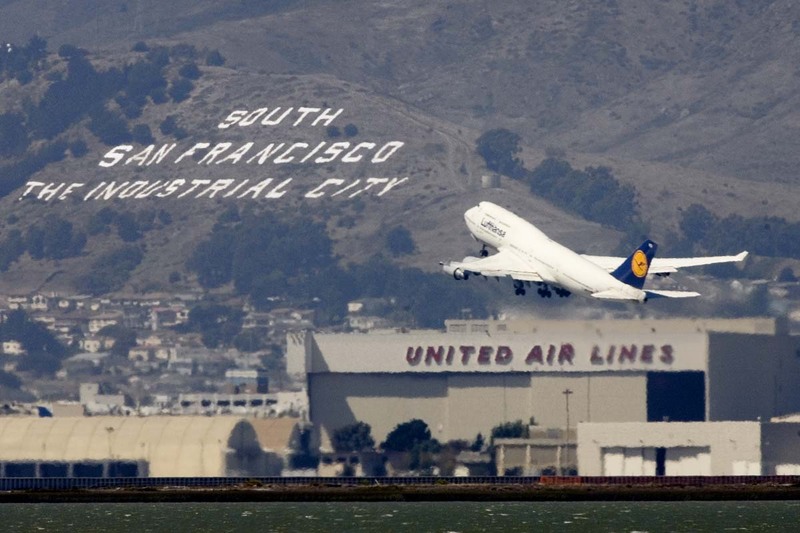 Nowadays the city hosts a bunch of biotech companies like Genentech, along with some garden variety B2B software companies and offices for companies associated with SFO. What’s a Hike without Lunch afterward? 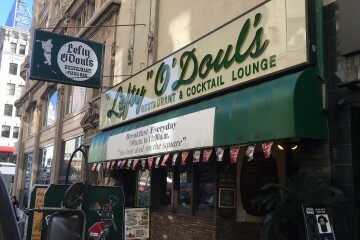 If you’re looking for a cold drink with some South San Francisco history after your hike, check out Molloy’s Tavern Built (1883), it’s hella Irish, neighborhoody, and where the cattle-hands actually used to drink. 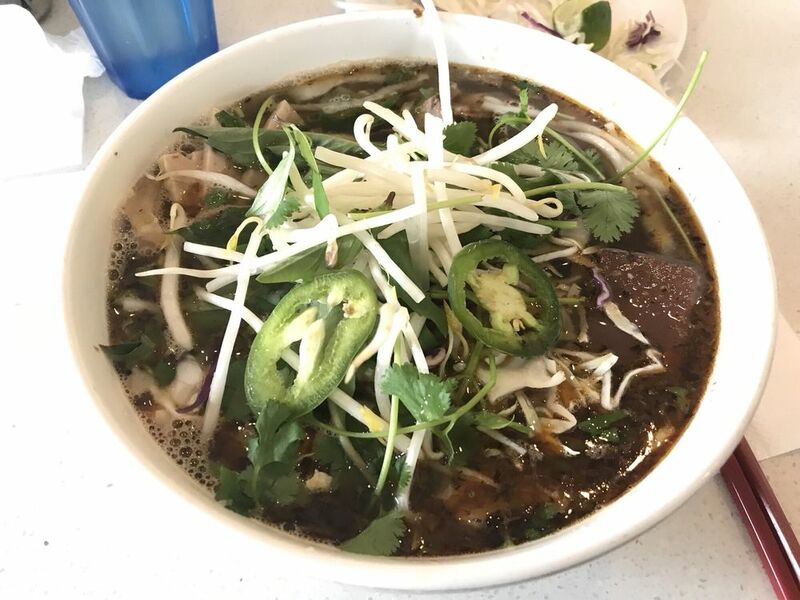 If you’d like a warm bowl of Pho to warm your bones head to Grand Ave. and check out Ben Tre’s Vietnemese Homestyle Cuisine. 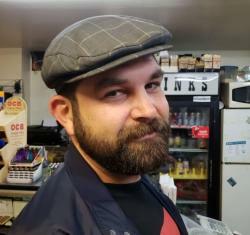 It’s a family owned spot that goes back generations, and the Pho is delicious. Also Ben Tre’s is just a stone’s throw from the South SF City hall building which dates back to 1920, it’s all just darling. 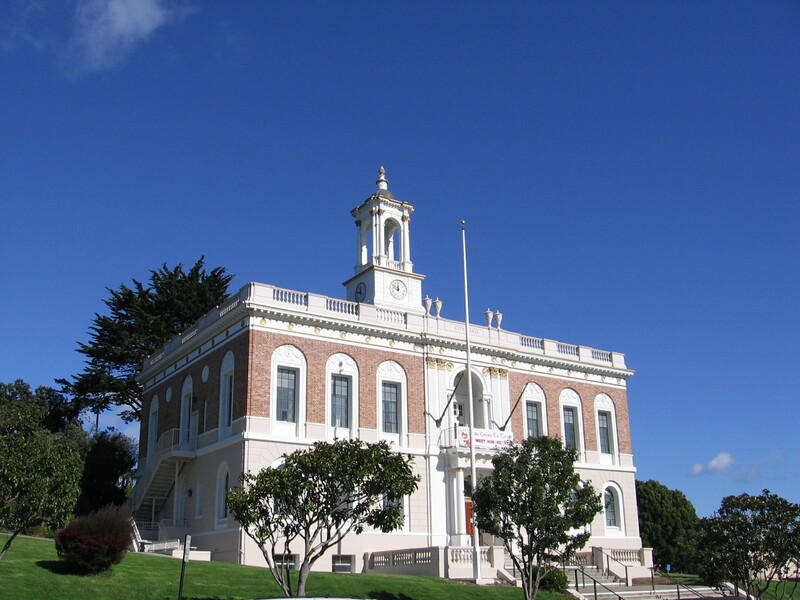 South San Francisco City Hall. Grand Ave.